Last night we celebrated the top talent in the industry at New York's A&D Building. 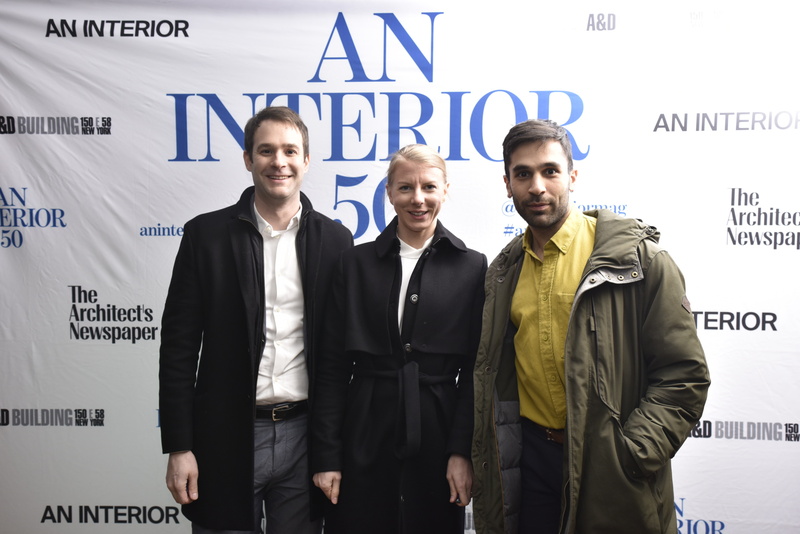 Our sister publication's March issue, AN Interior, debuted the second annual AN Interior Top 50, a list of the best designers and architects in the United States, Canada, and Mexico. With good company and good food, showrooms like Poliform, Thermador, Viking, and other kitchen and bath showrooms hosted talks with representatives from the Top 50 firms. The bash also marked the launch of AN Interior's new website. Architects like Andrés Jaque of Office for Political Innovation, and Adam Snow Frampton and Karolina Czeczek of Only If discussed topics ranging from their companies' founding to the culture of kitchens and gathering. Meanwhile, guests were invited to feast on scrumptious finger food while they perused the latest high-tech appliances, luxury bathtubs, and long-lasting surfaces. We would like to thank you, our readers, for showing up and celebrating with us. Commemorate the night and take it in again with photos of you, our favorite architects and designers, and, of course, us. We also invite you to revel at the new home for AN Interior in the digisphere on aninteriormag.com and the accompanying Instagram, @aninteriormag. We are excited to announce AN Interior’s second annual top 50 list of interior architects and designers on our brand new website, aninteriormag.com. Click here to visit the new website and see the list. 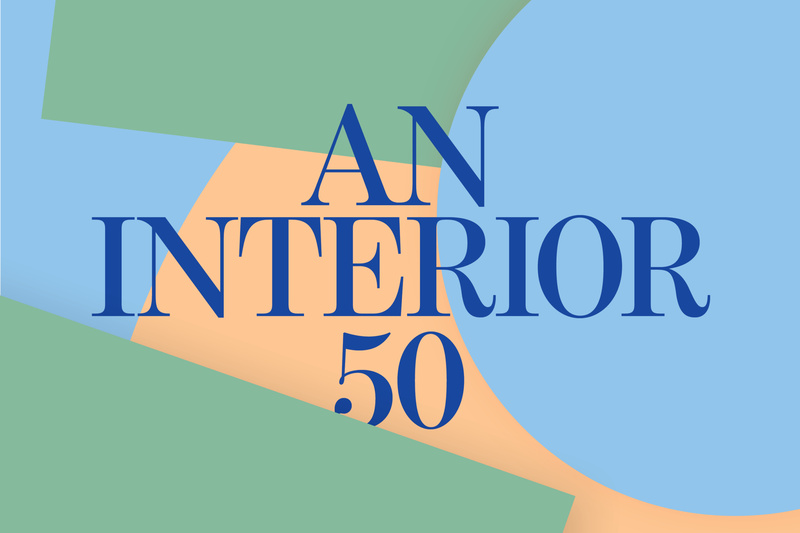 The AN Interior 50 features the most talented architects and designers transforming interior spaces. 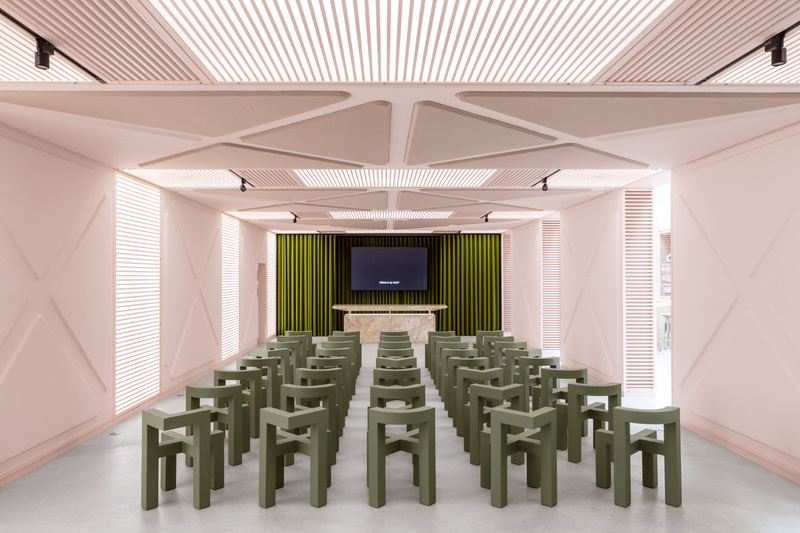 These emerging and established firms from all corners of the United States demonstrate novel and exciting approaches that push the envelope in how we inhabit residential, hospitality, retail, and work spaces. AN Interior is a design and culture magazine that examines the vanguard in architect-designed interiors, furniture, and objects. The magazine—a sister publication of The Architect’s Newspaper—is a leader in covering the latest developments in the architecture and design worlds, with a focus on where they intersect. Our expertly curated, smart coverage of the most experimental, unique, and refined projects is a must-read for our audience of knowledgable design enthusiasts. The new site will be the home to our best interior and design content, where you can find a carefully curated selection of the best design today. The Sally Henderson Lecture on Green Design is an annual event created to honor the memory of NYSID faculty member, Sally Henderson, who developed the College’s first course in green design. The U.S. Green Building Council (USGBC), creators of the Leadership in Energy and Environmental Design (LEED) rating system, celebrated its 25th anniversary in 2018. With 25 years of experience in the green building industry, USGBC continues to find new ways to advance sustainability for both people and the environment. “Arc Skoru” is a collaborative platform designed to connect people all over the world to actions and inspire them to make the most informed decisions. The new “LEED for Cities” rating system is revolutionizing city planning, development and operations, while also improving sustainability and life for people around the world. “Living Standard” will collect and share stories that prove that anyone has the power to make a measurable impact on the quality of life of everyone around us. A series of short presentations will describe Arc Skoru and Living Standard along with an updated version of LEED for buildings and cities. A panel discussion will follow, addressing the impact these programs will have on the design world. Joining us will be USGBC’s Gautam Tarafdar, along with LEED faculty and practitioners, Jason Kliwinski (Founder/CEO, Green Building Center, LLC, LEED Fellow and LEED Faculty member) and Jonathon Matle (LEED practitioner with Vidaris) and Dr. Vatsal Bhatt, Director for Cities and Communities. NYSID’s David Bergman, Program Director for MPS-S, will moderate the panel. Released in the United States for the first time this month, the Be Colour capsule collection reworks designs from Italian lighting brand Foscarini’s catalog of decorative luminaires. The Venice-based company asked its longtime collaborator Ferruccio Laviani to reimagine some the company's most iconic pieces. The architect chose a bold color palette to enliven classics like the compact Binic table fixture, the adaptable Magneto desk lamp, the Gregg and Bahia wall sconces, and the Twiggy floor lamp—a version of which received a 2018 AN Best of Products Awards honorable mention. “We wanted to go beyond the all over effect of a single color,” Laviani explained. “Where possible, we formulated chromatic combinations that make the shape of each lamp more unexpected.” The architect separated what were originally monochromatic totems into different geometric forms using strategic color pairing. In some cases, like the Magneto desk lamp, such an intervention helps delineate function. 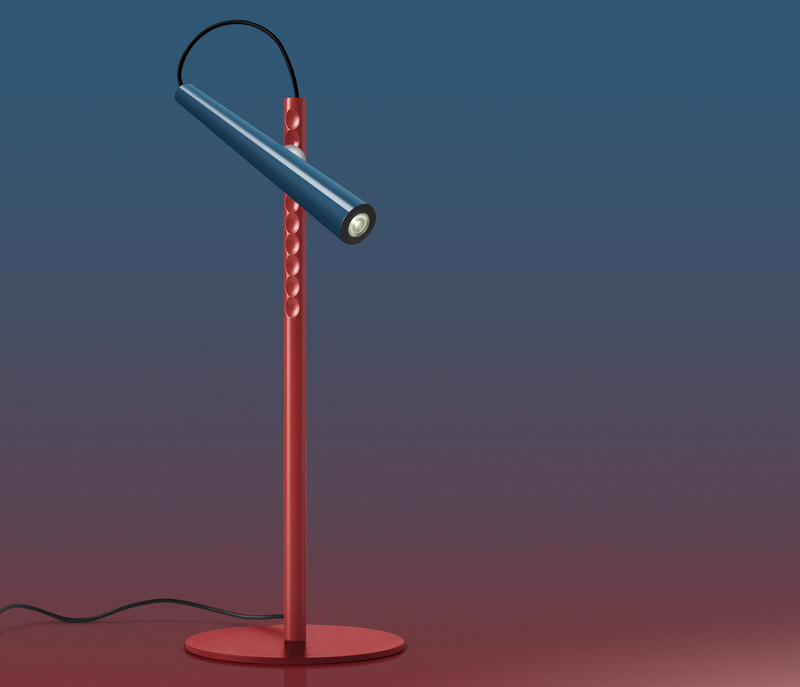 The fixture’s fiery-red stem deliberately contrasts with its baby-blue head to show how the lamp can be adjusted. Laviani’s interest in color is nothing new. In 1991, he developed the Orbital standing lamp for Foscarini, which was a study in the relationship between form and tone. The release of the Be Colour capsule collection coincides with the opening of the Foscarini’s new Spazio Soho showroom. The recently-renovated Greene Street space in New York is now the Italian company's American flagship store. Midcentury modern design has surged back into fashion in the past decade. In a time of economic uncertainty, many in the furniture and interiors industries are adopting the restrained aesthetic as a reassuring alternative to the opulent and overly expressive styles of the late 1990s and early 2000s. Though renowned designers from many countries played major roles in shaping this movement in the 1940s, '50s, and '60s, Danish icons like Arne Jacobsen, Finn Juhl, Verner Panton, Børge Mogensen, and Hans J. Wegner are often credited as its catalysts. Today, Danish brands like Hay, Muuto, and PP Møbler have capitalized on the renewed interest in the country’s design prowess. Copenhagen-based Strandberg Publishing has just released two books that explore the topic. 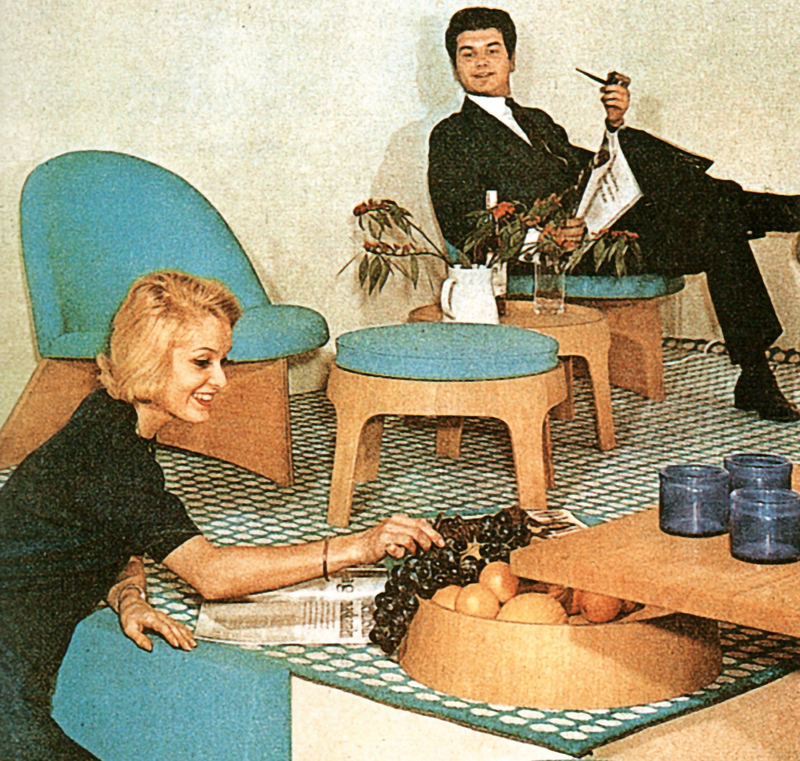 In Furniture Boom: Mid-Century Modern Danish Furniture 1945-1975, historian Lars Dybdahl surveys the full trajectory of the midcentury modern movement in Denmark, situating iconic furniture pieces in a larger cultural context. Across 13 chapters, the anthology highlights key trends as well as social, aesthetic, and technical topics. While chapter 2 investigates the disparity between high-end and accessible design, chapters 4, 5, and 6 consider different materials and production techniques that were championed and refined during the period: lamination, padding, wicker, etc. The last few chapters look at different scales of context and use: children's and office furniture alongside Space Age influences. While the book takes an academic tone, it's multifaceted approach paints a holistic picture. Throughout, archival product and interior images, advertisements, and drawings help illustrate the full story. In The Danish Chair: An International Affair, author Christian Holmsted Olesen analyzes the chair archetype. As one of the most complex and contested objects, the chair often signifies a make-or-break moment for designers and serves as a touchstone throughout evolving careers. In the book, Holmsted Olesen positions Danish design at the center of an international and historical dialogue. The author reveals how celebrated midcentury modern chair designs by Danish icons took inspiration from history and abroad. Certain chapters explore the influence of Chinese and English traditions, while others identify different typologies: folding, low, easy, bentwood, shell, cantilever, etc. The book also looks at how the country’s design scene gained international recognition in the early 1950s and how that drove its designers to perfect the chair. Holmsted Olesen is the head of exhibits and collections at Designmuseum Danmark and mounted a permanent exhibition of the same name in 2016. New York is an international city, the center of many powerful industries such as finance, advertising, publishing, media, art, fashion and yes, our personal favorites, interior design and architecture. Learn from how the best and boldest collaborate and succeed in New York design. What makes the work of an interior designer in New York special and New York-ish? From city permits and coop rules, how does working in the city differ from working anywhere else? New York designers require solid strategy, utter professionalism, toughness and charm. Join Wendy Moonan as she explores the relationship between architects and interior designers in New York, using examples from her book, New York Splendor: The City’s Most Memorable Rooms. New York Splendor: The City’s Most Memorable Rooms is available for purchase after the lecture. This program is co-sponsored by the Institute of Classical Architecture & Art (ICAA). Free admission for ICAA members. NYSID alumnae, Laurie Smith, joins us for an intimate conversation and look into her journey as an interior designer. As one of the first designers to hit the airwaves on TLC’s Emmy nominated show Trading Spaces in 2000, Laurie has been able to expand her style and knowledge of design through various product lines, speaking opportunities and as an author.